Trip highlights: Beijing is the nation's political, economic, cultural and educational center as well as China's most important center for international trade and communications. This tour truly makes your visit a cultural experience of a lifetime. Welcome to Beijing to experience after Olympic Games. Our English speaking tour guide will meet you at the Beijing airport on time, transfer to the hotel in Beijing downtown. Relax the rest of the day. 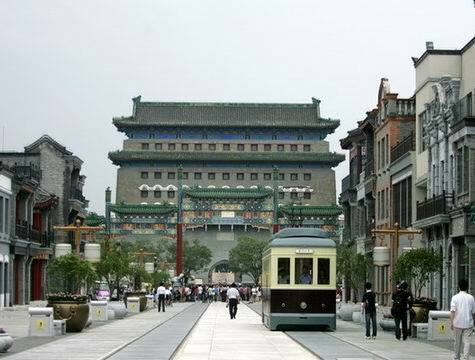 If you arrive in the early afternoon, recommend you to visit Dashilan old street by yourself. Dashilan old street Dashilan is the oldest and perhaps one of Beijing’s most fascinating streets to explore. This district is cluttered South of Tian'anmen Square, it is the civilian area, known as the grassroots culture under the Forbidden City. Full day highlight tour visit to explore Forbidden City, Panda House and Liulichang Street of Chinese Culture, a place for people interested in Chinese calligraphy, painting or other artwork. Liulichang Culture Street Liulichang is known throughout China and the world for its ancient books, calligraphy, paintings, rubbings, ink stones and ink. The street is a bustling commercial district southwest of Tiananmen square that caters mainly to foreign tourists. 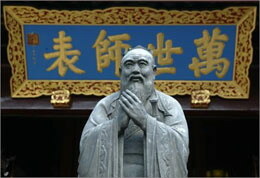 Indepth tour of exploring traditional culture of Beijing. Lama Temple The Lama Temple, northeast of downtown Beijing, is the most famous Tibetan Buddhist temple outside of Tibet and was visited by past Dalai and Panchen Lamas (as well as one current-day Chinese-appointed Panchen Lama). Temple of Confucius The Temple of Confucius at Beijing is the second largest Confucian Temple in China after the one in Confucius' hometown of Qufu. The complex includes four courtyards aligned along a central axis. After half day sightseeings in Beijing city, the rest of the day is at your leisure for your freet time shopping and relex. [ Optional ] Olympic Stadium (Bird Nest): The National Stadium, also named the “Bird’s Nest” due to its iconic design was the key competition venue of the Beijing 2008 Olympic Games. The stadium looks like a nest from the outside, symbolizing a cradle holding the hopes of mankind for the future.